Strategically positioned at Tuban area, the sleek Bahana Guest House comes with a convenient sojourn. 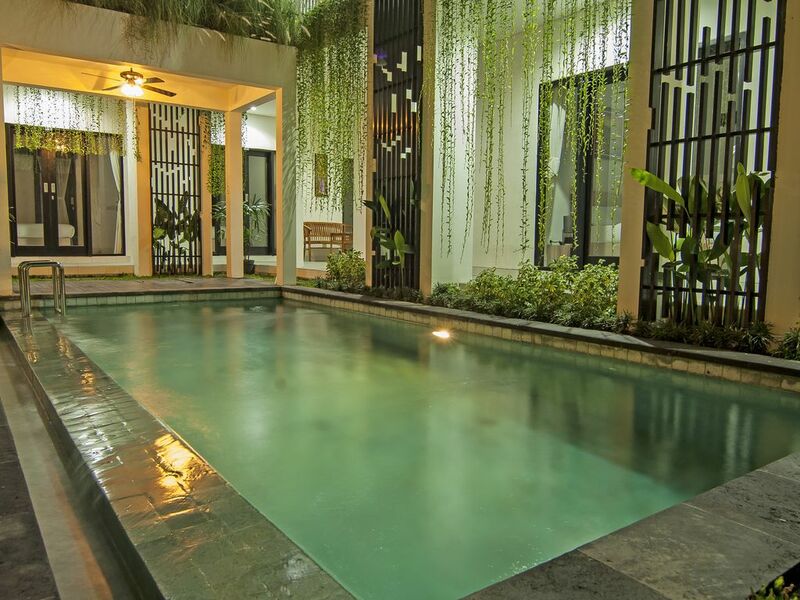 This Bali guesthouse has been carefully designed to provide ultimate and relaxed nuance for travelers as a result of a collaboration of the affordable cozy living and modern minimalist architecture. With a total of 14 standard rooms spreading across 25 square meters each, our guests will enjoy quality time during the stay with us, either for business or holiday purposes. A bijou and verdant tropical garden embellishing the property really perfect the aesthetic element and exudes freshness to every space of our two-floored building. Then, a spacious room in a bright color of this guest house in Bali generates comfort and peace of mind. Our amicable and helpful staff will make your stay at this guest house in Kuta just like staying at the comfort of your own home. All your basic service needs for the travel living have been provided here such as the 24-hour front office service, daily breakfast, laundry, and dry cleaning as well as a doctor on call. Meanwhile, the supporting facilities include swimming pool, bathroom amenities, LCD TV with international channel, shower, hairdryer, and safety box. So, let's come and stay with us at Bahana Guest House.